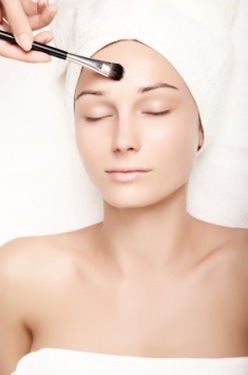 A chemical peel, one of the least invasive ways to improve the appearance of your skin. Although chemical peels are used mostly on the face, they can also be used to improve the skin on your neck and hands. Benefits of peels include: Refinement of skin texture, Reduction of fine lines and wrinkles, Improvement in sun damage, Clearing the skin of blemishes, Acne or acne scars, Age spots and Irregular skin pigmentation. At Vital Face and Vein we offer a range of skin peels to address most skin concerns, including the popular Jessner’s Peel. Cosmedix and modified Jessner’s peels provide powerful alternatives to traditional ingredients, and won’t irritate skin. There are several different kinds of peels, which vary according to their specific ingredients and their strength. Using clinically proven next generation retinols, L-lactic acid, AHA’s and BHA’s and other anti-ageing ingredients, these peels, exfoliate, detoxify and stimulate cellular turnover and collagen production. Think of them as ‘Medical facials’. Our peels do not cause excessive peeling. Our Phyto Retinol peel is suitable even for dark or very sensitive skin, it is composed of natural nourishing ingredients and vitamin A. Vitamin A is proven to increase cell turnover in skin. The decongestion peel is ideal for acne, congested skin and enlarged pores. The modified Jessner’s peel, the strongest in the range, is a medium-depth dermal peel using a buffered combination of ingredients including L-lactic acid to address pigmentation, acne scars, sun damage and ageing concerns. Depending on which peel you have, you may experience no peeling. However, following some peels you can expect a light to moderate peeling or flaking for 3-5 days. Make up can be applied immediately and you will not need time off work.Skin peels are an economic and effective way to enhance the appearance of your skin without down time. Contact us today to discuss a peel. You will be surprised at the results you can expect to see. You will achieve a healthy luminous complexion in a relatively short time.